Great football podcast. Simms provides good insight and both are halarious and entertaining. fun show. unique takes and topics. Super Bowl Live Day 1: Michael Vick & DeSean Jackson TALK TRUTH About Chip Kelly, Quenton Nelson Interview, Rams-Patriots SB53 Preview, Plus More! Championship Sunday Recap: Did NFL's Two Best Teams Reach the Super Bowl? NFL Week 12 FIlm Notebook: Imagining Le'Veon With Andrew Luck, Tom Coughlin Is Ready to Fight, Which Rookie QB Has the Highest Ceiling? NFL Week 12 Recap: Odell Complains About Gameplan, Seahawks Back in the Hunt, What's Wrong With Stafford? NFL Week 10 Recap: Trubisky Silences Critics, Titans Take Down Patriots, Le'Veon Bell Sitting Out, Plus More! NFL Week 9 Recap: Rodgers vs. Brady, Saints vs. Rams Film Breakdown, Le'Veon's Return to Pittsburgh, Plus More! NFL Week 7 Film Notebook: Eli Apple & Snacks Traded, Carr and the Raiders, Vikings Offense Breakdown, Mean Joe Green Interview, Plus More! NFL Week 6 Film Notebook: Breaking Down Kyle Shanahan's Offense, Von Miller Trash Talk, Should the Cowboys Trade for Amari Cooper? NFL Week 6 Recap: Mahomes vs. Brady, Saquon's Greatness, Is Tyreek Hill the NFL's Best Receiver? Week 5 Film Notebook: Sam Darnold & Josh Allen Breakdowns, Gruden's Offense, Brees Gets the Record, Plus More! 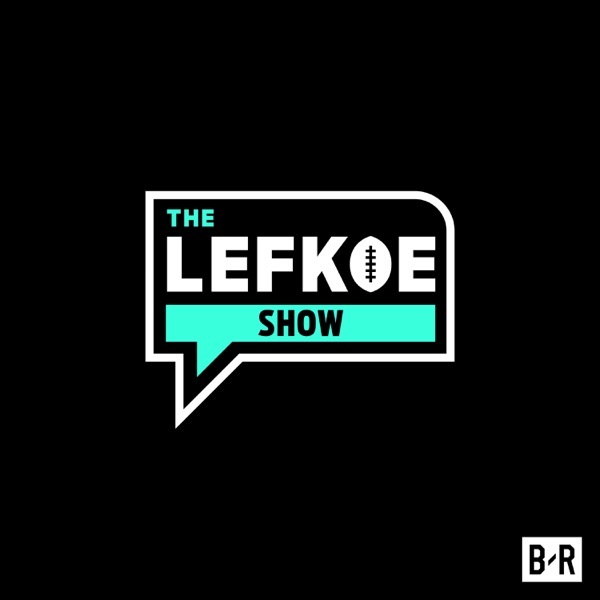 Simms & Lefkoe: The Show Special...FULL Interview with Pat McAfee! NFL Week 4 Recap: Earl Thomas' Finger, Mitchell Trubisky Balling Out, Eli Manning Struggles, Plus More! Week 3 Film Notebook: McVay's Offense, McCaffrey's Big Game, Tannehill's Deep Ball, Patricia vs. McDaniels, Plus More! Simms' Week 1 Film Deep Dives, Jerry Rice Interview, TNF Preview, Plus More! Le'Veon Holdout? Full Khalil Mack Trade Breakdown, Brian Dawkins & Jay Ajayi Interviews, Plus More! Baker Mayfield's Photo Shoot, Gruden's Secret Weapon, Hard Knocks Review, Plus More! Pacman Jones Talks Airport Fight, Simms Ranks the Hall of Famers, Diggs' New Deal, Plus More! Baker and Tyrod's Secret Clubhouse, Dez Bryant's Twitter Rant, Whoa! Big Training Camp, Plus More! Whoa, Big Offseason Awards Special! Gurley's New Contract, QB Tiers, Plus More! Jimmy GQ Talks Brady, McVay's Photographic Memory, Manziel Gets Traded, Plus More! Simms' Top 5 Running Backs, PED Snitching, Favre vs. Rodgers, Plus More! RG3 Mentoring Lamar Jackson, Odell's Ridiculous Arm, Julio Jones Working Out with TO, Plus More! Le'Veon Bell's Rap, Bridgewater Buzz at OTAs, NFL Burner Twitter Accounts? Sam Darnold IN STUDIO! Simms' Full 1st Round Mock Draft, Pats Intrigued with Lamar Jackson? Episode 162: Secret NFL Draft Studs & Busts, Shaquem Griffin Film Breakdown, Barkley to Browns? Episode 156: Eagles Trade for Bennett, NFL Draft RB Rankings, Should Le'Veon Hold Out? Episode 144: Le'Veon Bell Interview, Pro Bowl Rosters, Rodgers Back! Breaking Down NFC Super Bowl Contenders, Is a Rookie NFL's Best Running Back?